A lovely gift for an exciting time in any couples life. 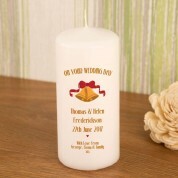 Our white pillar candle is printed and personalised individually for every customer. 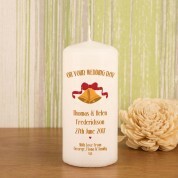 The traditional design features golden wedding bells and a bright red ribbon. It reads “On Your Wedding Day” followed by the couples names, wedding date and short message. 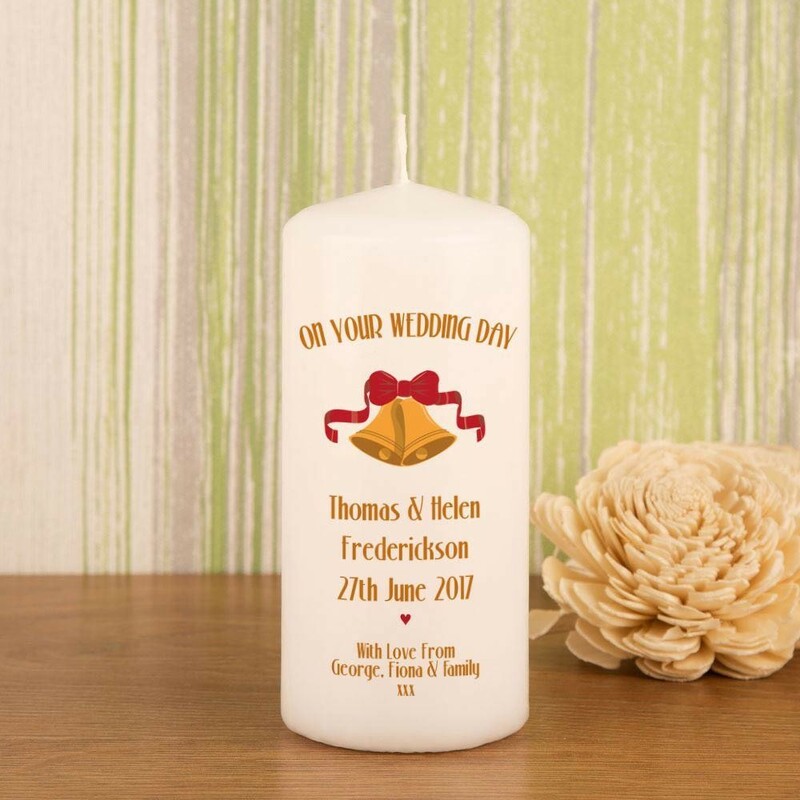 The loved up couple will love to light up their home with this quirky little gift! Alternatively they can keep it as a reminder of their big day. 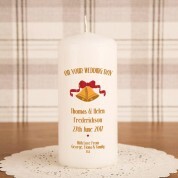 It may also be used as part of a top table display at the wedding, or lit during the wedding ceremony. The candle comes gift ready for the recipient a luxury organza bag.